This blog provides practical information on brand research, strategy and positioning. It also covers brand equity measurement, brand architecture, brand extension and other brand management and marketing topics. 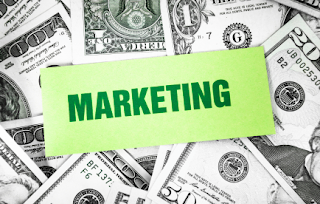 Between 8 percent and 12 percent of revenues should be budgeted for advertising and other marketing activities. This amount obviously varies significantly by company and industry. An average company spends approximately 6 percent of sales on advertising alone. Advertising expenditures for computer and office equipment are as low as .09 percent vs. 16.8 percent for toys, dolls, and games. Industrial companies tend to spend less on advertising (one percent to 5 percent typically) than consumer products companies. You are building a new brand. Your product offering is large and complex. Your brand is a luxury brand. You sell products and services in a “low involvement” category (typically low-priced items for which there is little risk of failure). More than 10 percent of your revenues come from online sales. You are selling commodity products (advertising will be the primary differentiator). Excerpted from Brand Aid, second edition. What is Your Brand Delivering? Do Brands Need to Be Consistent? © Brad VanAuken. Simple theme. Powered by Blogger.